Marty Dread, known as Hawaii's Reggae Ambassador, has been releasing new music for 23 years, including 17 albums. He performs throughout the Hawaiian Islands, the USA, and around the world. 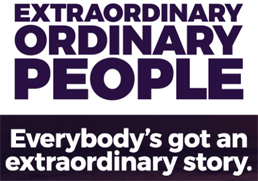 Listen to a conversation between Marty Dread and Andy Kushner for the "Extraordinary Ordinary People" podcast series (October 2017). See a video of Marty Dread with Sly & Robbie in 2016. See a video of Marty Dread with Soul Syndicate in 2016. Also in 2016, Marty released the album, "A Wonderful Life," and five additional singles. In 2018, Marty Dread plans to release two new albums. Marty Dread's music can be previewed and downloaded from iTunes. See Marty Dread's upcoming events and appearances. Sign-up for Marty Dread's mailing list or contact Marty for information about live appearances, music licensing, interviews, and other inquiries. Note: Links to Marty Dread on Facebook, SoundCloud, and Twitter open in a new tab or window.